I was supposed to have another giveaway today, but it’s not yet ready so I’ll post it tomorrow.. On Thursday I'll draw the winner for AND BABY MAKES FIVE and post the title for another book I'm giving away. Stay tuned. It was very good timing that I got my contract just before I went to Mount Hermon, because I was able to focus my learning goals. I took the Media Mania class with Ellie Kay, assisted by Sharon Durling. Wow, that was terrific! It was media training—stuff I had no clue about. I went into sponge mode. I learned about sound bytes—15 second answers (to very short questions) that are appropriate for radio and television (mostly television) interviews. Fifteen seconds is about 25 words, and it goes much faster when you’re miked than when you’re practicing in a nice friendly small group of classmates. It really made me learn to give just the meat of what I wanted to get across, to break information up into small chunks, to be selective with my word choices. There were lots of hands-on exercises. I did a mock camera interview for the first time, and although I felt like I was going to puke in Ellie’s lap, I restrained myself thanks to an encouraging word from my new friend Tasra Dawson, and I did a good job. I don’t think I’m as “media-ready” as I should be, but at least I wouldn’t be completely unprepared for interviews. Wednesday: How I fed my addiction. 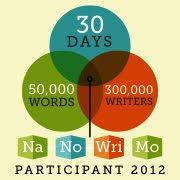 Announcing a new contest especially for new writers. I'll be featuring a New Writers Showcase on my web site beginning in May. Each month I will announce the "New Writer of the Month." This is a no-fee contest. The purpose is to help new writers get their writing read and publicized. Not only will the winner be featured on my web, but I'll announce it in my NEW monthly e-newsletter (please visit my website to subscribe) and will also announce the winner with a link to the several writers' groups I'm a member of. The winning piece will also be posted for everyone who wants to read. You will also get a link to your web site plus a special winner's logo to post on yours! BIG NEWS! 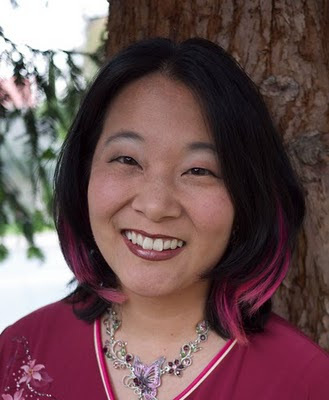 Camy Tang, who recently signed a 3-book deal has agreed to add a special surprise for each month's winner. She has offered to give a FREE critique to each month's winner on 15 pages plus a 2-page synopsis of their work. Camy is one of the best critiquers I've ever worked with and offers great insight when she reads one's writing. Trust me, it will be worth your while to enter this contest just because of Camy! * Put "Contest Submission" in the subject line, please. 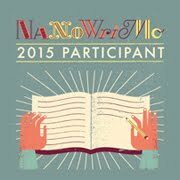 * You may submit any genre, or even non-fiction, up to 1000 words. Essays, columns, articles, and short-stories will also be accepted, but please keep the 1000 word limit. * Submissions received by the 20th of each month will be considered for the following month's contest. The contest submissions open immediately and the May winner will be announced May 1st. * Sorry, but no critiques are available for any of the submissions except the winner. * I'll accept attachments in MS Word. Thanks! I look forward to reading your stuff. That media class sounds fantastic! What a great idea. Glad you didn't puke. I can't seem to find part I of this Mt. Hermon recap. But then I have no sense of direction so maybe it's related. You mean I have to enter a contest to get you to read my work? Sheesh! 15 pages huh? That's not even half of chapter one...or maybe it is...well, got nothing to lose I suppose.